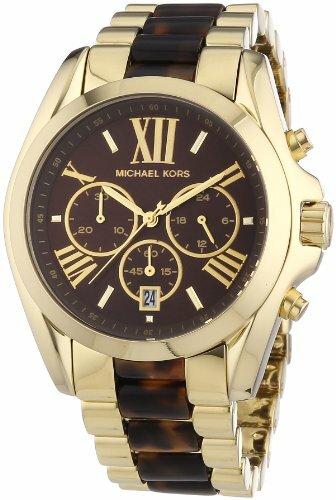 A polished gold-tone finish and Roman numeral markers lend elegance to this Michael Kors chronograph watch, and tortoiseshell links complete the sophisticated look. Three subdials and a date wheel complete the dial. Hinged-snap clasp.